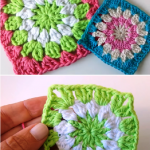 Today we have another fast and easy gorgeous granny square video tutorial for crochet lovers, which is perfect for making blankets or crochet pillow. Also can be used as a coaster. 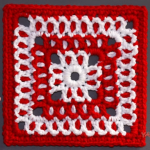 This beautiful square will definitely brighten up your home interior and will add extra charm to any corner of your room. 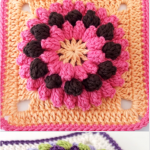 You can willingly choose and combine colors. 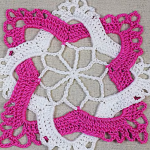 This adorable square has very exclusive design, that visually catches an eye. 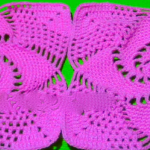 It is not difficult and we hope you will easily master it, with help of excellent instruction. 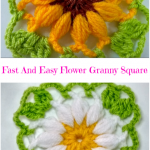 So, if you are looking for magnificent and simple crochet project, then you are on the right place. Good Luck! !